I know, I know I have plenty of coffee mugs but I guess one more couldn’t hurt right? I have to have one of these. 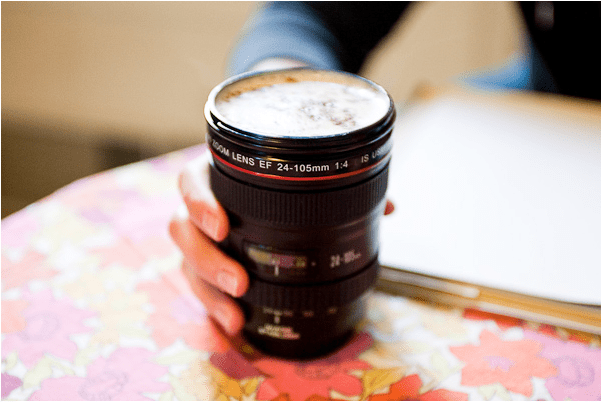 It’s a coffee mug that is made to look like a real Canon 24-105mm lens. The focus and zoom rings at rubberized acting as grips and the mug also features a lens-cap which is the lid. It even has an auto-focus switch that actually toggles back and forth. Pretty sweet huh? Yeah I thought so to. My birthday is coming up and a Canon Lens mug would make a great gift Wink….Wink :). Who wants to buy me one?